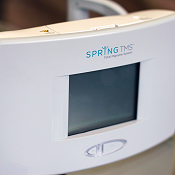 The SpringTMS device relieves migraine headaches through transcranial magnetic stimulation. The portable device delivers magnetic pulses to the head just seconds a part, resetting the brain’s misfiring neurons. The device is under review by the U.S. Food and Drug Administration, and is already available in Europe. 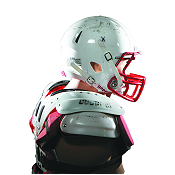 This football helmet attachment takes the form of a shock absorber filled with a dilatant fluid, one that thickens under sheer strain, such as the force of a tackle. The simultaneous absorption and transfer of energy from the impact, and the decreased acceleration of the player's head and neck, should result in a dramatic reduction of concussions. The device was innovated by bioengineering students advised by Mechanical Engineering Professor Kenneth Kiger and mentored by Robert E. Fischell for the 2012 Capstone Design Challenge. 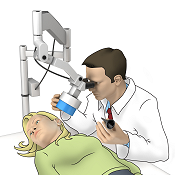 Otomagnetics, LLC is developing a method to magnetically deliver drugs and other therapeutic payloads to hard-to-reach targets, such as ear compartments and the eye. This is being considered as a potential minimally-invasive treatment for hearing loss, middle ear infections, and eye conditions. 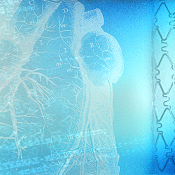 Company: Svelte Medical Systems, Inc.
Fischell’s innovative coronary stent is mounted on a balloon catheter with an integrated wire to make the implantation of the device easier, safer, and lower cost. Fisher and Melchiorri have engineered a polymer-based material resin that is biodegradable, biocompatible and supportive of cell and tissue growth, while degrading over time. 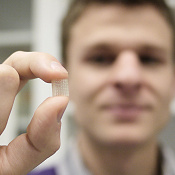 Knowing this, FormaSTEM – the company they co-founded – uses this polymer to create vascular grafts, which act as artificial blood vessels and can be replaced by the patient’s own tissue over time. 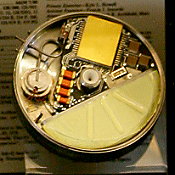 The implantable insulin pump provides greater control of insulin delivery for people living with diabetes. The devices lessens the burden of treatment by allowing patients lead a more flexible life, without worrying about strict diet, exercise, and sleep regimens. 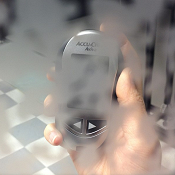 Mechanical Engineering Assistant Professor Monifa Vaughn-Cooke studies the usability of glucometers and other handheld medical devices for patients with disabilities. Her research aims to identify the behavioral mechanisms associated with system risk propagation to inform the design of user-centric products and systems with the ultimate goal of improving productivity and safety. 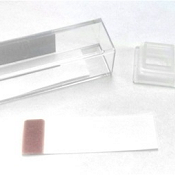 Diagnostic anSERS has developed a novel inkjet printing process to fabricate inexpensive sensors for surface enhanced Raman spectroscopy (SERS), a molecular fingerprinting technique. This technology has the potential to be an excellent, low-cost fit for diagnosis of pathogens, such as hepatitis, tuberculosis, and HIV. 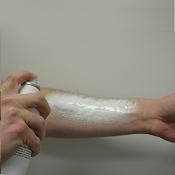 Hemogrip is a high-pressure, sprayable foam that can expand into an injured body cavity, adhere to tissue and stop hemorrhaging within minutes during the expansion process.